Product code: 2059 Categories: Sold Items, Sold Jewellery. Here is a stunning antique citrine and pearl pendant dating from the 1880’s with a massive citrine as the star of the show. Made in 15ct gold, the citrine is surrounded by 35 pearls with a further 6 pearls on the top bail. The citrine itself measures a massive 55 carats in weight and in dimensions measures 2.6cm across in size. 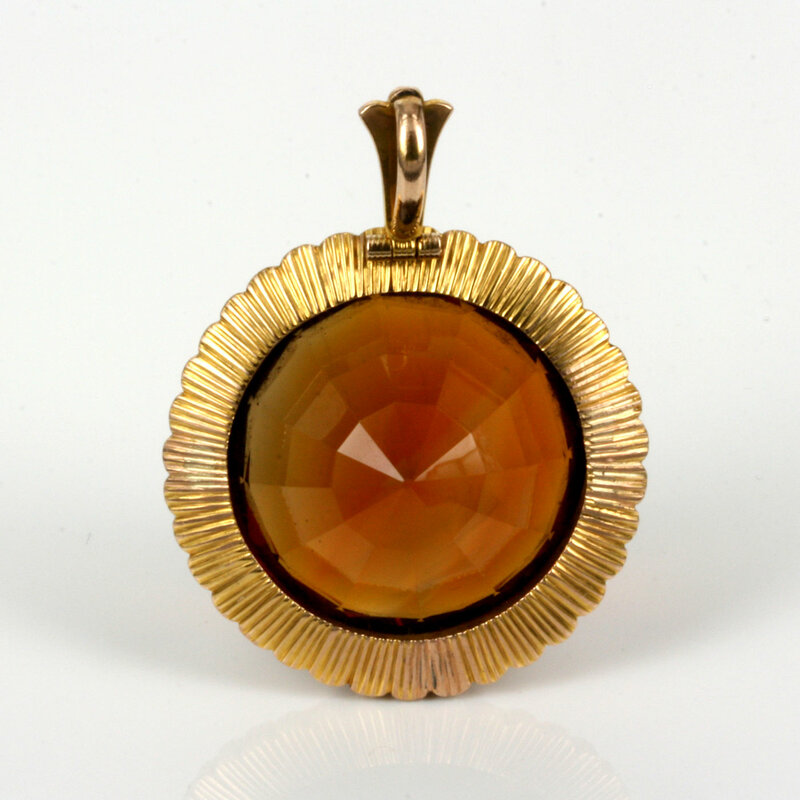 The mount measures 3.4cm across by 4.5cm to the very top and this antique citrine pendant truly stands out and has the most wonderful colour. If you love large antique pieces, then consider this one as it is truly stunning.